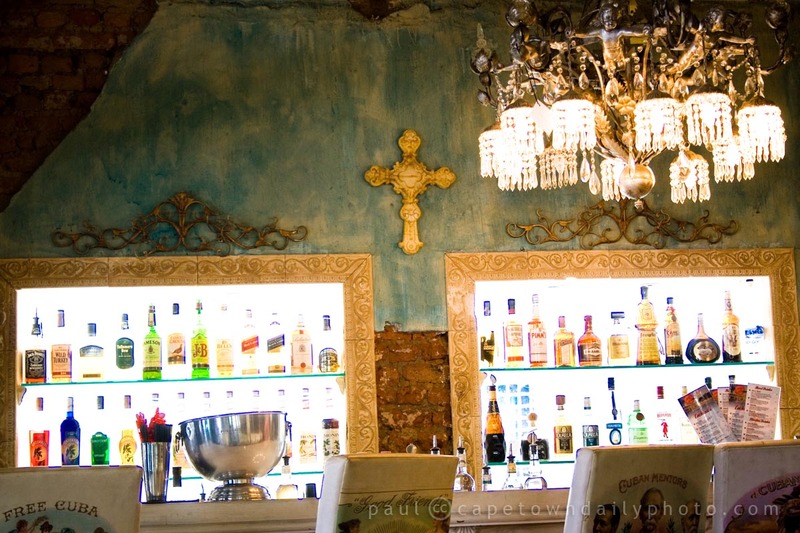 Sticking to the Cuban theme of Che Latino Café, mentioned in a previous post, Cape to Cuba (pictured in this photo) is a chain of three restaurants heavily decorated in typical Cuban style, featuring exotic furniture and décor. The twist is that almost all the pieces of furniture and décor in the restaurant are for sale, so if you like something, you really can get to take it home! Posted in Activities and tagged restaurant on Thursday, 18 March, 2010 by Paul. The Kalkbay restaurant is a stunning place with great service. Have dined there a few times and have always had a good time. Thanks for letting us know Hendrik. I’ve heard good things and the experience in Stellenbosch, while not bad, wasn’t as awesome as what we’d expected. I’m counting down to my trip to SA, including 3 nights in Cape Town. Your blog has been very helpful in helping me plan photo opportunities and outings! Thanks! My family went to the Kalk Bay restaurant for my daughter’s birthday in 2003 and we were blown away by the decor, the location and the mojitos. There really wasn’t anything like it back then. My photographs of the restaurant, the blue outside walls, the “porthole windows” and the Che Guevara sign outside the restaurant are still some that I often enjoy looking at.